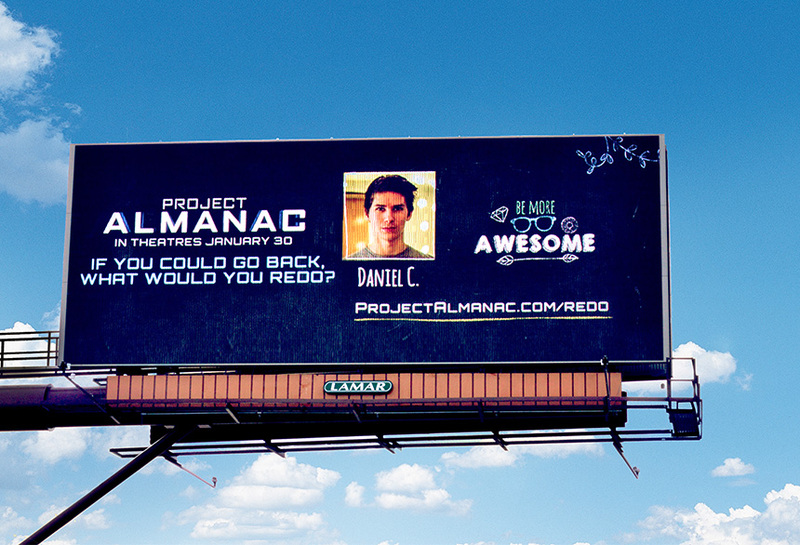 Paramount Pictures promoted the film Project Almanac using Lamar's digital network in over 10 markets. The campaign allowed users to submit user-generated content via a micro site that would send their content to the digital billboards. Paramount asked users to submit something they wish they could go back in time and re-do. The campaign ran for 2 weeks and featured a day-parting element as the premier date drew near.